This blog series addresses discussions from a series of roundtables hosted by the Congressional Blockchain Caucus on the use of emerging technology, identifying both areas of common interest that can help accelerate adoption and existing gaps that can impede implementation. In our first blog post we addressed the value that blockchain can bring to addressing secure identity management. The second blog post explored the implications of blockchain on global currencies and payment systems. A primary objective was to verify that payment components are uniformly examined across industries, businesses, and government agencies as they are important to maintaining integrity in blockchain technology. Finally, this third of the three posts reports the discussions on value that blockchain can bring to a supply chain. The specific goal for the “Provenance, Supply Chains & Blockchain” session was to identify components being uniformly examined across industries, businesses, and government agencies as important to maintain integrity in blockchain technology. Supply chain for the provenance of contracts and agreements: How can blockchain technology improve the accuracy, efficiency and transparency of the various contracts within the workflow of a given supply chain management ecosystem (e.g. shipping industry; contracts in the music industry)? Supply chain for the provenance of logistics of goods: How can blockchain technology be used to track the movement of goods (e.g. in combination with data from the “Internet of Things”), and to provide better transparency in the course of detecting/preventing the circulation of counterfeit goods (e.g. counterfeit medicine; high-value goods)? Supply chain for the provenance of data and information: With many organizations today overwhelmed with digital information and data -- both sourced internally and from external sources -- how can blockchain technology help organizations manage the work flow of data and the movement of data (e.g. data-sets) within the organization? The distributed nature of ledger components in a blockchain system offers greater end-to-end visibility into the shared-state of information among participants, and therefore provides a promising foundation for next-generation supply chain management infrastructures. Making that end-to-end visibility immutable also enhances certainty that the information along the blockchain represents the single source of truth. That certainty also increases trust, which . means less perceived risk that can reduce friction and costs and thereby nurture economic expansion. 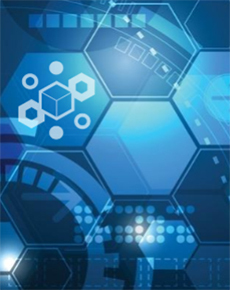 Rethinking the supply chain paradigm for a blockchain context demonstrates that supply chain involves more than just moving and tracking a product from cradle to grave, but also involves seeing beyond the process from component parts to finished goods . This transforms traditional supply chain analysis, expanding to understand the supply chain of ideas, supply chain of data, supply chain of identities, and supply chain of trust . Summarizing the key takeaways that emerged from the Supply Chain roundtable along with the preceding two roundtables, the discussions revealed that blockchain shows high promise as long as there is greater vision and leadership across government regarding blockchain adoption and innovation. That vision should be shaped by a close collaboration between industry and government to communicate a clear value proposition for blockchain technology and its potential role in the future economy. That collaboration, leading to demonstrative examples of value, will only be made possible through open and increased research and test-bed deployments (i.e. “sandboxes”). Similar to how the evolution and growth of the internet occurred over the past few decades, distributed ledger technology will need more focus (government sponsored as well as industry) to catalyze that same level of fundamental adoption -- ultimately benefiting all stakeholders and users in the U.S. and globally.